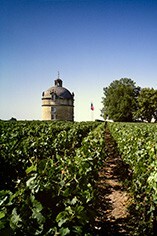 The Wine Advocate - 2005 was a very dry, warm and sunny vintage, causing vine stress in some areas of Bordeaux. Harvested from September 26 to October 6, the tannin/IPT levels were very high this year. 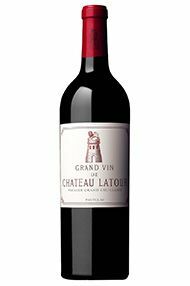 The 2005 Latour is blended of 87% Cabernet Sauvignon, with the rest Merlot and Petit Verdot. It is the biggest surprise of this tastinguntil now, the wine was relatively closed and broody, but today the wine is just starting to reveal its personalityand what a stunner! Medium to deep garnet-purple colored, it opens with provocative floral scents of roses and violets over a core of fresh blackcurrants, chocolate-covered cherries and black raspberries with hints of fertile loam, unsmoked cigars and black tea. Medium to full-bodied, firm, grainy and packed with muscular fruit, it has an epically long, savory finish sparked by floral notes. 12,000 cases were made. Parker - The 2005 Latour (87% Cabernet Sauvignon and the rest Merlot and Petit Verdot) is a spectacular effort from Château Latour. It has an inky plum/purple color and a gorgeous nose of graphite, crème de cassis, and floral notes with some forest floor in the background. It is full-bodied, super-concentrated, and for my taste, probably one of the two or three most intense, rich, and complex wines of the entire Médoc. The wine has great texture, purity and a finish of close to 40 or 45 seconds. The tannins are surprisingly sweet, even in this large-scaled, masculine wine. Drink it over the next 50+ years. Decanter - Ripe, fragrant, charming. Lovely full, perfumed fruit. Lovely balance and charm. Elegant. Also wonderful length.